These days, a college education is hugely expensive. 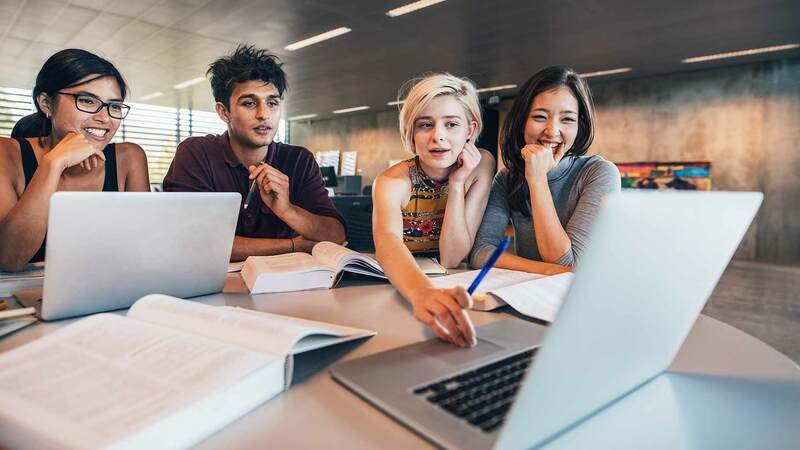 According to the College Board, the annual “sticker price” of tuition and fees range from $3,440 at a community college to over $32,000 at a private, four-year college. Steep costs have caused many college graduates to start their working life with thousands of dollars in student loan debt. At the same time, students all over the country are getting their degrees without spending a dime for tuition. They’re attending a select group of U.S. colleges and universities that are entirely free. Naturally, these tuition-free colleges aren’t easy to get into. Competition is fierce. Many of the schools limit admission to low-income students from specific areas. Also, most of these schools require you to work for your free tuition. You may have to work your way through your four years. Others require you to complete some form of service after you graduate. But if you have what it takes, one of these schools could be your ticket to a free degree. There are eight colleges across the country where students pay for all or part of their tuition with their own labor. Half of these – three four-year colleges and one two-year college – charge no tuition at all. There’s still a fee for room and board, but in some cases, students can work off that too. Alice Lloyd College in Pippa Passes, Kentucky was founded to be “a college for Appalachia.” To that end, it offers free tuition to all students in its service area, which covers 108 counties in Kentucky, Ohio, Tennessee, Virginia, and West Virginia. In exchange, students must work a minimum of 10-20 hours per week, or 160 hours per semester. They can take jobs on campus or in the community. For instance, they can do maintenance, help at the library, or work as lifeguards. Although tuition is free, students must pay for their room and board, as well as a matriculation fee. These charges come to about $4,100 per semester. Alice Lloyd provides financial aid for these costs on the basis of need. Alice Lloyd is a very small college, with only about 600 students and 35 professors. It also has high standards. According to U.S. News and World Report, only 5% of the students who apply are accepted, and only 21% of those who attend go on to graduate. More than half the classes on campus have fewer than 20 students. The school offers B.A. and B.S. degrees with a focus on liberal arts, education, and healthcare. After they graduate, students are encouraged to stay and put their knowledge to work in the region. Berea College also serves the Appalachian region. Located in Berea, Kentucky, this school was the first interracial, co-ed college in the South. All students admitted to Berea receive a Tuition Promise Scholarship, which combined with other sources of financial aid, cover 100% of tuition costs. For most students, the Tuition Promise Scholarship totals nearly $100,000 over the course of four years. U.S. News and World Report estimates that the cost of room and board at Berea at $6,472. To help cover these costs, all students get a campus job in addition to their free tuition. Every student must work 10 to 15 hours a week at one of 100 available jobs. Berea is a private, Christian college with around 1,650 students and 165 professors. It offers B.A. and B.S. degrees in roughly 30 fields. Nearly four out of five classes on its campus have 20 students or fewer. Berea is not quite as selective as Alice Lloyd, but it still has strong standards. About 37% of the students who apply are accepted and 45% go on to graduate. The school is ranked #60 out of 239 liberal arts colleges in U.S. News and World Report. The College of the Ozarks in Point Lookout, Missouri is sometimes described as “Hard Work U.” Its work requirement is stricter than any other school. In addition to working 15 hours a week during the school year, students must work two full 40-hour weeks each year when classes are out. Students can do their work service in a wide variety of jobs, including nursing, hotel management, and dairy farming. The College of the Ozarks gives all students full tuition, at a cost to the school of over $18,300 per year. The money comes from its endowment combined with student aid grants and gifts. Room and board cost $6,800, but students can pay for this by working an additional six weeks during their summer break. As its name suggests, this college aims to serve students from the Ozark region. Though it occasionally admits students from elsewhere, it gives priority to students from 129 counties in Arkansas, Missouri, Illinois, Oklahoma, and Kansas. Also, most students must show both academic ability and financial need to get in. The school waives the financial need requirement for only one out of ten applicants. These strict criteria make the College of the Ozarks tough to get into. Only 12% of those who apply are accepted, and 63% of them go on to graduate. The small, Christian college has around 1,440 students and 100 professors, and most classes have under 20 students. The college’s high standards earn it high ratings from experts. U.S. News ranks the school #4 out of 94 regional colleges in the Midwest. It also names the school as #2 in the country for the quality of its undergraduate teaching, and #1 for overall value. Deep Springs College is a tiny, all-male college in Big Pine, California. This two-year college has fewer than 30 students total. Most classes at Deep Spring have eight students or fewer. Along with academics, Deep Springs stresses self-government and manual labor. The college is also a working cattle ranch and alfalfa farm that produces most of its food. All students must spend 20 hours a week working either on the farm or in another campus facility. In exchange for their labor, students receive not only free tuition, but room and board as well. Deep Springs offers courses in the humanities, social sciences, and natural sciences. Its stated goal is to prepare students for “a life of service to humanity.” What this means differs from student to student. Many graduates go on to pursue careers in law, medicine, teaching, science, or journalism. Out of the 150 to 180 students who apply each year, only 12 to 15 are accepted. The college looks for young men with a strong work ethic and a deep interest in service. After completing their two years at Deep Springs, most go on to get a bachelor’s degree from another college. Some have transferred to elite colleges, including Ivy League schools. The U.S. military service academies serve a specific purpose: to prepare students for a military career. Funded by the government, all these schools are free to attend. However, after finishing their degree, students are required to serve in the military for at least five years. Located in Colorado Springs, Colorado, USAFA prepares students for a career in the Air Force. It’s home to around 4,400 students, known as cadets. All students receive a free scholarship that includes tuition, room, and board – an estimated value of $400,000 for four years. In exchange, they must commit to serve five years on active duty and three years in the reserves after they graduate. Admission standards at USAFA are strict. In most cases, a student must be nominated by either a member of Congress or the Vice President of the United States just to apply. A limited number of positions are open for students in other categories, such as children of career military personnel or honored veterans. Only about 17% of those who apply to USAFA are admitted, and 79% go on to graduate. U.S. News ranks the USAFA at #34 among all liberal arts colleges. It has a stellar student-faculty ratio of just 8 to 1, and two-thirds of all classes have 20 students or fewer. Students can choose from among more than 30 majors, with popular choices including engineering, business, and marketing. Athletics are also a big part of life at USAFA. All cadets must take part in a sport of some kind and pass a fitness test every semester. There are also numerous other clubs and extracurricular activities. All in all, life at USAFA is strictly disciplined, with little free time. The New London, Connecticut-based CGA trains students for service in the Coast Guard. This branch of the military is the oldest life-saving force in the world, but maritime safety is only part of its job. It also helps manage sea traffic and commerce, protect natural resources, and defend the country’s shores. The 900 or so cadets at CGA all receive free tuition, room, and board. In exchange, they must serve at least five years after graduation, usually on board a ship. Students prepare for this by spending the summer after their third year working aboard a Coast Guard cutter ship. Admission is limited, with only 18% of students who apply being accepted. However, unlike the other service academies, CGA does not require a congressional nomination to apply. Roughly 84% of all students will eventually go on to graduate. U.S. News rates CGA at #2 out of 62 regional colleges in the North. The student-faculty ratio is 8:1, and more than three out of four classes have 20 students or fewer. CGA offers majors in engineering, humanities, management, mathematics and science. It also offers several unique courses through its Strategic Intelligence Studies department, such as Intelligence and National Security Policy. Like the other service academies, CGA has a strict daily schedule, with time for study, athletics, and military training. The school has several sports teams that compete in NCAA Division III. Music is another popular activity, with groups such as the Glee Club, Gospel Choir, and NiteCaps Jazz Band. The U.S. Merchant Marine Academy in Kings Point, New York, gives its graduates a wider range of career choices than the other military academies. All students must perform some sort of service after graduation, but they have a choice about what kind. They can either spend five years on active duty in any branch of the armed forces, or they can spend five years working in the maritime industry and eight years in the reserves. Students at the Merchant Marine Academy, known as midshipmen, do not pay for tuition. However, they do have to pay fees of about $2,200 a year to cover expenses such as a laptop for their classes. They can apply for need-based financial aid to help cover these costs. The Merchant Marine Academy is known as the most academically rigorous of all the service academies, requiring the most hours of coursework for a degree. It accepts 15% of all applicants, and 64% of them go on to graduate. There are about 900 midshipmen enrolled at the academy, and 70 professors. U.S. News ranks it as #3 among regional colleges in the North. In addition to their coursework, all midshipmen at the academy must complete a “Sea Year.” They spend this year working on a commercial ship and traveling to ports around the world. At the end of their four years, they earn not only a B.S. degree but also a U.S. Coast Guard license and an officer’s commission in the Armed Forces. Students bound for an army career can get a free degree from the U.S. Military Academy in West Point, New York. The oldest of the service academies, it offers free tuition, room, and board to all students. They even receive a monthly stipend for other expenses. In exchange, they commit to five years of active duty service in the U.S. Army and three years in the reserves. Students must have a congressional nomination to apply to West Point, and in 2015, just one out of every ten applicants was accepted. However, 80% of those who get in go on to graduate. They emerge as second lieutenants in the Army, as well as earning a B.S. degree. West Point has around 4,350 students and a student-faculty ratio of 7:1. More than 95% of the school’s classes have 20 students or fewer. With these stellar credentials, it earns a ranking of #19 among liberal arts colleges in U.S. News. Sports are a big part of life at West Point. It’s a member of the NCAA Division I, and all cadets are required to play a sport every semester. The college’s greatest sports rival is the Naval Academy, especially in football. Students can also take part in various other activities, including the glee, gospel, ski, and sailing clubs. The U.S. Naval Academy in Annapolis, Maryland, prepares students for a naval career. Its 4,500-plus students, known as midshipmen, all receive free tuition, room, and board. After college, they will serve five years on active duty in the U.S. Navy or Marine Corps, followed by three years in the reserves. As of 2015, the Naval Academy was the hardest of all the service academies to get into. Like West Point, it requires a nomination to apply, usually from a member of Congress, and it accepts only 9% of applicants. However, those who get intend to stay in, with 86% graduating after four years. 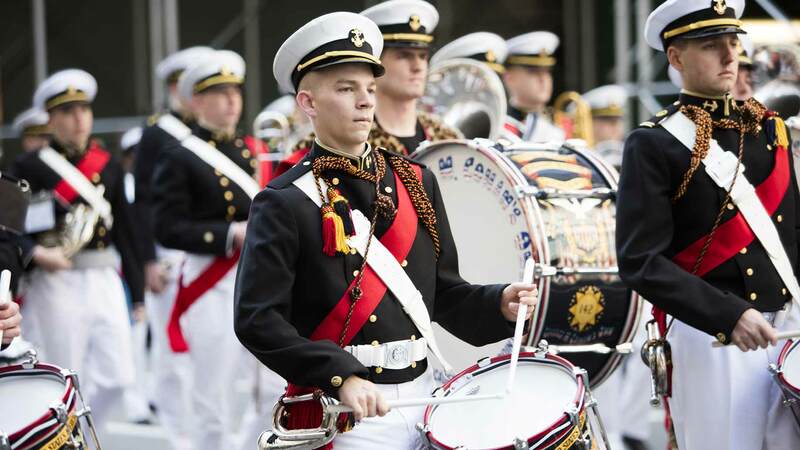 U.S. News ranks the Naval Academy at #12 among liberal arts colleges. It has a student-faculty ratio of 8:1, and more than 70% of its classes have 20 students or fewer. Graduates earn a B.S. degree and a commission as either a Navy ensign or a second lieutenant in the Marines. Like West Point, the Naval Academy is part of the NCAA I conference, and sports are a requirement for all students. It offers 17 varsity sports for men, 10 for women, and three that are co-ed. There are also several club sports and other extracurricular activities, such as the debate team. A few free colleges cater to a very particular group of students. Some of them are open only to the best and the brightest from a particular area. Others are aimed at students who want to pursue a specific career. They offer free tuition in order to carry out their special mission – to train people for a job they see as important to the world. Located in the tiny city of Haviland, Kansas, Barclay College is a tiny Christian college for students who want to enter the ministry. It has fewer than 200 students living on campus, plus a few dozen graduate and “distance learning” students. All students who live on campus, including international students, receive $12,500 full-tuition scholarships. Full-time students living off campus can receive partial scholarships for about one-third of this amount. However, these scholarships do not cover the $8,400 cost of room and board or $4,090 in fees. Financial aid is available to help with these expenses. Barclay is open to students from “all evangelical faith traditions” who intend to pursue a religious career. It offers majors in a dozen fields related to the ministry, such as pastoral ministry and elementary education. In addition to their coursework, students must complete 12 hours of “Christian service” each semester. For example, they can teach a Bible study group, sing in a choir, or serve in a church position. The Curtis Institute of Music in Philadelphia seeks to train the next generation of great musicians. 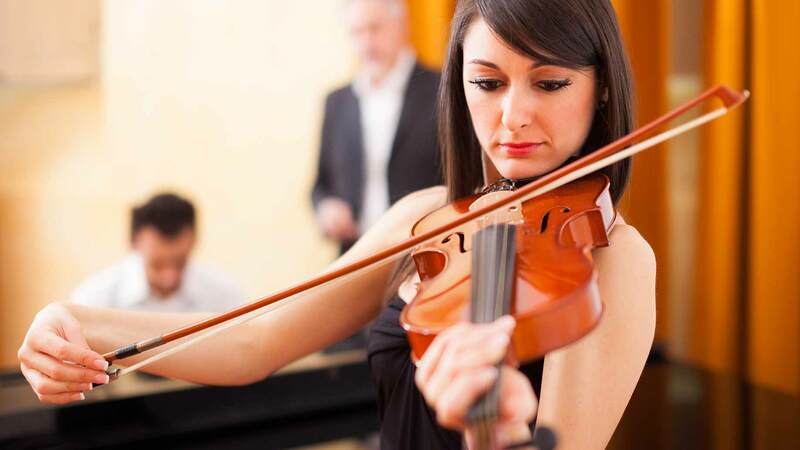 It’s open to students of all ages, as long as they are musically gifted. Applying to Curtis involves an audition, usually in person, although singers can submit a recording instead. If they get in, they are taught by leading musicians from some of the top orchestras in the country. All students accepted to Curtis receive a scholarship that covers the $2,525 cost of tuition. However, they are still responsible for the cost of room and board, which comes to more than $14,700 per year. Students who demonstrate financial need can get help with these expenses through grants, loans, and work-study programs. Performing is a big part of a Curtis education. The school’s 175 or so students put on more than 200 performances every year in Philadelphia, and they also go on tours around the world. Graduates of Curtis are represented in every major U.S. orchestra and appear as guest soloists in noted orchestras, opera houses, and chamber music series around the world. Macaulay Honors College in New York City is part of the City University of New York (CUNY) system. However, it has stricter standards than most CUNY schools, taking only the highest-performing students. The average SAT score for Macaulay students is over 1400. Macaulay also looks for students with good grades, extracurricular activities, essays, recommendations, and community service. Macaulay is not a stand-alone school. Instead, its students enroll as undergraduates in one of the eight other CUNY colleges and take most of their courses on their home campus. However, they also attend some classes and events at the Macaulay building on Manhattan’s upper west side. When they graduate, they receive a joint degree from Macaulay and their home campus. All Macaulay students who live in New York state get a scholarship that covers their $6,330 tuition in full. However, they must pay room and board for their home campus. They can get financial aid to help with these costs. About 87% of Macaulay students graduate with no student debt. Free tuition is only one of Macaulay’s many perks. For instance, the Macaulay Opportunities Fund offers grants of up to $7,500 for study abroad, internships, and professional development. The Cultural Passport program gives students free or reduced admission to hundreds of museums and other cultural centers in New York. Also, every incoming student gets the use of a new Apple laptop, complete with tech support – which they can buy for $1 after using it for two years. Macaulay students can choose from among 475 majors across CUNY’s eight campuses. They also take four special seminar courses for Macaulay students only, exploring the arts, science, and the people and social forces of New York City. Also, every student must complete 30 hours of community service over the course of their four years at the college. Webb Institute in Glen Cove, New York, teaches students to do exactly one thing: design ships. It’s the only college in the country devoted specifically to this purpose. The 90 or so students at Webb are all double majors in naval architecture and maritime engineering. Along with their regular classes, they do a “winter work” internship each year to give them real-world experience. 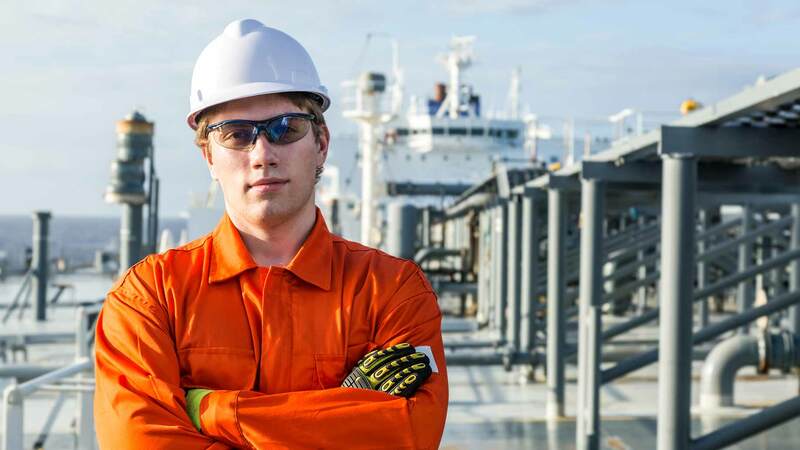 This training makes Webb graduates very much in demand for jobs in the maritime industry. Every single member of Webb’s graduating class receives multiple job offers. All Webb students who are U.S. citizens or permanent residents get their $47,400 tuition covered for free. However, this does not cover the $14,400 cost of room and board, as well as fees for books and the use of a laptop. Students can apply for grants, loans, and scholarships to cover these costs. U.S. News ranks Webb as #69 out of 198 engineering-only programs in the country. It has an acceptance rate of 36%, a four-year graduation rate of 63%, and an 8:1 student-faculty ratio. Tennessee. In 2014, the state created the Tennessee Promise Program, which pays for recent high school graduates to attend community colleges in the state. This is a “last-dollar” scholarship program, meaning that it uses tax dollars to fund all tuition and fees that can’t be covered by other forms of financial aid. In the fall of 2014, more than 58,000 students – about 90% of the state’s high school seniors – applied for the program. 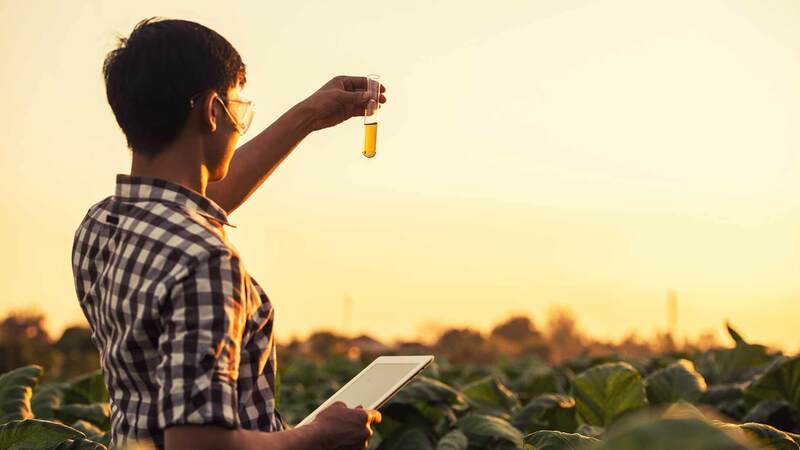 The following year, the state introduced the Tennessee Reconnect Program to help low-income adults complete an associates’ degree in science. Oregon. In 2015, Oregon created its own Oregon Promise Program. It’s similar to the Tennessee program, but with a few differences. First, students have to maintain a grade point average of at least 2.5 to qualify. Second, the program guarantees every student at least $1,000 for college. If they can meet their full tuition costs through other grants, they can apply the state money to other expenses, such as textbooks. Third, students don’t have to attend college full-time to receive aid. All they have to do is spend at least $50 on classes each term. Minnesota. This state started a pilot program in 2016 to cover last-dollar costs for students seeking degrees in certain high-demand areas. It’s open only to students who finished high school within the past two years and have an income of less than $90,000. To be eligible, they must do at least 30 hours of academic work each year and maintain a grade point average of 2.5 or better. The program will run through 2018, at which point the state will decide whether it should continue. Kentucky. In 2016, the state legislature passed a bill to create the Work Ready Kentucky Scholarship Program. Starting in 2017, this program will cover last-dollar costs for students seeking a two-year degree or certificate. Students must complete at least 15 credit hours each semester and have a grade point average of at least 2.5. Starting in 2020, they will also need to have a certain number of college credits before they enroll, which will gradually increase over time. Ten other states – Arizona, California, Hawaii, Illinois, Maryland, Massachusetts, Mississippi, New York, Oklahoma, and Washington – are now considering bills to cover two-year college costs for qualifying students. And in January 2016, New York Governor Andrew Cuomo made headlines by proposing a plan to fund all four years at public colleges in the state for students below a certain income level. Cities and universities are also taking up the free-college banner. In California, several community colleges now offer free tuition programs. Some of these programs are funded by taxpayers, others by grants from businesses. However, these programs cover only one to two semesters of tuition, not the full two years. To many people, using tax dollars to pay for college sounds like a crazy idea. However, back in the early days of this country, spending tax dollars on any school was a crazy notion. If parents wanted to educate their children, they had to send them to private schools or hire tutors. Most families couldn’t afford this, so most kids simply didn’t go to school. That began to change in the mid-1800s when citizens in Massachusetts voted to fund public schools with trained teachers. At the time, no doubt, there were many who objected to paying taxes for schools. But most voters decided that a well-educated population was a public good worth providing. As a result, public schools soon became the norm across the whole country. One day, public funding for college may be just as normal. Until then, attending one of the tuition-free schools listed here offers a chance, at least for some, to keep college costs down. How do you feel about the free college movement? Do you think it’s worth spending tax dollars on?